Industry leading uptime, money-back and support guarantees. Our service should be spot on, or your money back. There's a reason we've been in business for over fifteen years - it's because we offer our clients a service they can depend on. We really believe that you'll be over the moon with your Kualo experience. What's more, unlike many of our competitors, we put our money where our mouth is and link our guarantees to credits or refunds in the rare occasions that we fall short. 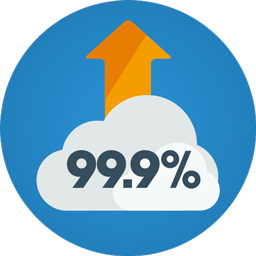 We're serious about uptime, and we guarantee your site will be available 99.9% of the time. Our published server uptime stats show just how committed we are to maintaining incredible uptime levels - and you'll see that we frequently achieve 100% uptime. The uptime guarantee excludes any scheduled maintenance, and is for unplanned outages only. Credits are issued to your account which can be applied to future invoices, refunds are not processed. Please see our terms and conditions for full details. Excludes other departments - billing, sales etc. Credit must be requested by raising a ticket to the Accounts Department via my.kualo.com, and will be applied to your account for use on future invoices. 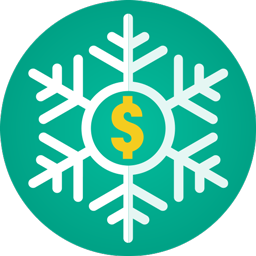 The price freeze guarantee applies to web hosting, Cloud VPS Hosting and Dedicated Servers only. Applies to our regular list prices, and excludes discounts applied as part of promotional offers. Services such as domain names, SSL certificates, licenced products and other services we re-sell from third parties may increase should we face increases to our own costs.